Many may wonder why Newman was beatified, what was it that made him holy? The authors indicate an answer to this question. His was not a life of extraordinary signs and wonders, of visions and ecstasies, not of physical trials. His holiness consisted in living up to the divine gifts and virtues of faith, hope and love, accepting and obeying God’s will in the ordinary, everyday circumstances of life, as well as in the extraordinary spiritual trials he faced for long periods. To my mind Eton, minus its wickedness, and plus the inculcation of the Catholic faith would be what I should like best to see. Many Catholic converts shared this sentiment with Sir John Simeon when confronted with the problem of educating their sons. 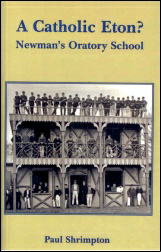 When in 1857 Newman was retiring from the Catholic University in Dublin he became the central figure in the establishment of the Oratory School. 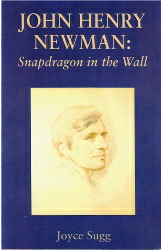 For his classic exposition of a liberal education Newman is hailed as one of the greatest writers on educational theory. 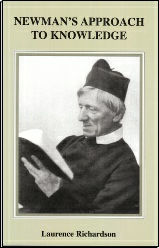 Cardinal Manning spoke of John Henry Newman as ‘a preacher of justice, of piety and of compassion’. Nowhere can this be seen more clearly than in his letters to the bereaved. Cardinal Newman’s renowned poem describes the death of an old man and the journey of his soul to the judgment seat of God. First published in 1865, it quickly became a best-seller. In an insightful preface, Fr Benedict Groeshel explains the relevance of the work for today. Satirist, humorist, Church of England vicar and convert to Roman Catholicism, Edward Caswall (1814-1878) was one of the 19th century’s most important hymnologists - posterity is indebted to him for both his original and translated hymns, including ‘See, amid the winter’s snow’. 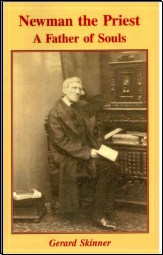 He was, moreover, the faithful financial and administrative mainstay of Newman’s Oratory in Birmingham from the time of his conversion in 1847 until his death some thirty years later. 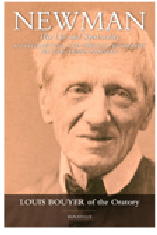 The intellectual Newman often overshadows the more personal and intimate nature of the man as exemplified in this account of his friendship with a great many women. 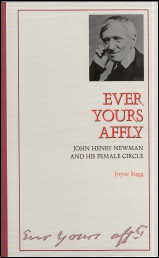 Though mostly unknown now their lives were of great interest to Newman who produced over the years a lively, compassionate and practical correspondence which not only throws light on his own character but also illuminates the lives of these women. 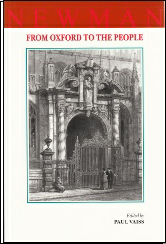 In this collection of original essays, the writers go beyond the well-worn paths and explore less familiar subjects such as the ecclesiology of the Oxford Movement, the spread of the Movement’s ideas within parishes, the politics of the Tractarians, the importance of Newman’s tour of Italy, and the social conscience of the Oxford Movement. 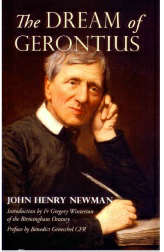 This edition of a classic anthology of the writings and sermons of Blessed John Henry Newman is a rare treasure of Newman’s thought and inspiration. Released to coincide with the beatification of Newman by Pope Benedict XVI, this collection shows the timeless wisdom of Newman and how strong an appeal his writings have for the modern Christian. 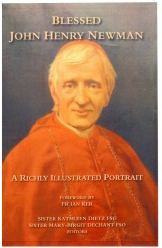 As the sanctity of John Henry Cardinal Newman finally receives recognition by the Church, there is ever more interest in this very English of priests. The need for a popular introduction and work of synthesis to Newman scholarship for the non-specialist was never greater than today. Professor Chisnall has produced such a work. 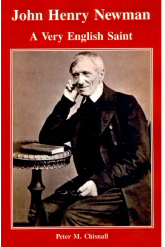 Blessed John Henry Newman is widely loved and remembered, yet his conversion to the Church of Rome sparked off one of the bitterest and more divisive controversies of the Victorian age, and one which lost him friends and respect. 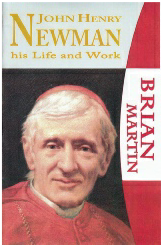 With extensive use of the letters and diaries Brian Martin’s sympathetic study combines biography with a critical assessment of Newman’s achievements. Venerated throughout the world, Newman’s many gifts, and his life of exemplary holiness continue to fascinate. Here is a highly readable account of his life, written with a freshness and immediacy that brings us close to the story of this remarkable man. 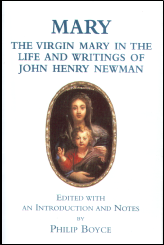 In this rich anthology of Newman's writing on Mary, we are invited to join in the spiritual journey and personal devotion of perhaps the greatest churchman of the last two hundred years in the English-speaking world. 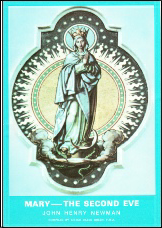 Drawn from a full range of his work, expertly and deftly brought together, it creates a deeply devotional volume of readings on Our Lady. 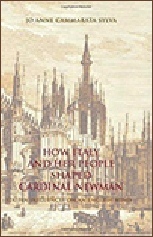 Extracts from the books of John Henry Newman arranged systematically so as to provide continuous reading of his key-thoughts and explanations about the Blessed Virgin. 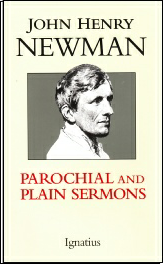 With passages drawn from sermons and addresses given throughout his ministry, The Newman Compendium, provides a quotation from Newman for each Sunday and Feastday of the three year cycle. 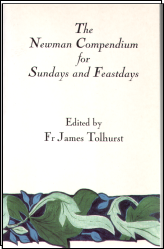 Supplemented by a helpful introduction, a schematic index and full critical notes showing the scriptural sources lying behind Newman’s words, the Compendium can be used equally well for service preparation, or personal reading. 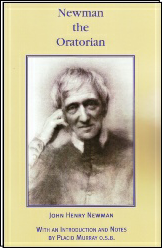 The second edition of Newman’s Oratory Papers (1846-78), being his Chapter addresses and other writings on the purpose and characteristics of Oratorian life. Each paper has been transcribed from the original manuscripts in the Birmingham Oratory Archives, and has been provided with a succinct introduction and notes. Presenting aspects of the life of Cardinal Newman and letting him speak to us in his own words, Fr Skinner draws from the tens of thousands of pages that this great pastor penned and presents Newman as a priest, ‘A Father of Souls’. 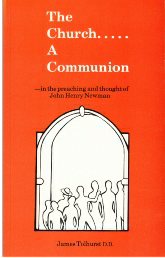 In a series of easily readable sketches we follow Newman’s life from the time when he first realised that God was calling him to the ordained ministry until his last years as a priest and Cardinal in the Birmingham Oratory that he had himself founded. 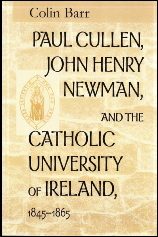 This book probably represents the most extensive and in-depth analysis of Newman’s philosophy, and in particular of his theory of knowledge, that has been published in the last forty years. 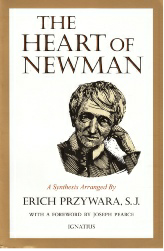 The author studied important unpublished documents by Newman at Birmingham Oratory and addressed the delicate question of Newman's sensitive temperament, the key to entering the world of this great theologian. 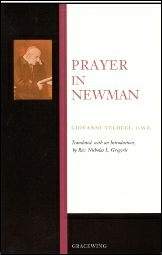 For Bouyer, one of the principle elements of the spiritual universe of Newman is a genuine mysticism of Christ: "Irreplaceable mirror outside of which God's radiance eludes fallen man and only appears as a shadow." Bouyer shows that St Augustine was the great apostle to the early Church, and St Thomas Aquinas was to the Middle Ages, so is Newman that for modern times. 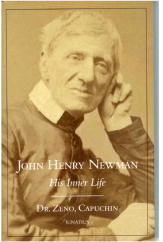 A work of major significance for anyone who wants to approach the towering figure of John Henry Newman. 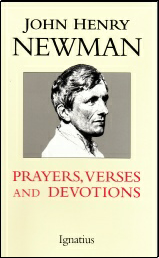 A finely bound volume of Newman’s most profound devotional writings. His meditations on the Litany of Loreto for the month of May and on the Stations of the Cross are already recognised as classics of Catholic spirituality. His verses on various occasions are profoundly inspiring as are the spiritual hymns and canticles which distill the wisdom of the incomparable Newman. 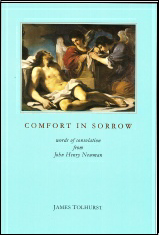 Among the various texts that have been used for the Stations of the Cross, John Henry Newman’s words stand out as one of the most enduing. The depth of his penetration of the reality of Christ’s Passion is matched only by his understanding of the mystery of our redemption and the richness of God’s mercy. 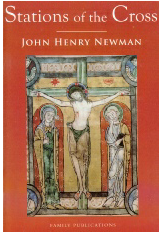 In this edition Newman’s original text is set alongside medieval illuminations. 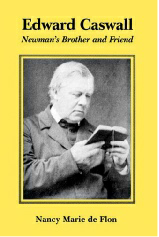 Newman’s journey to Catholicism is one of the greatest stories of the 19th century church. He relied on divine revelation together with reason and historical facts to reach undisputable truths and vigorously defend religious doctrines. 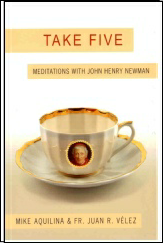 This book's brief, focused meditations will bring a similar clarity to your daily activities through John Henry Newman's deep Christian spirituality. Dr. Sylva explains how Newman allowed himself to be led into the fullness of Catholic truth by St. Alphonsus Liguori, Alessandro Manzoni, and St. Philip Neri among others.